"We are now the weather makers ... and civilization hangs on Share your reactions, hopes, and fears as we take action to turn global warming around. We Can Do It! WE is a growing number of people who believe we can solve this. Not just as individuals with strong beliefs but as part of a group where our strength makes governments and corporations change. WE can put our planet on a new path. Clean energy solutions are out there waiting. Solutions that will not only save our planet but help rebuild our economy. featuring former Vice President Al Gore, then come back here and let's talk about how we can help make a difference. See more about global warming on Care2's new global warming mini-site Get Fired Up About Global Warming: We Can Turn It Around! 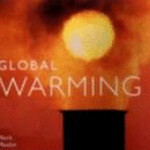 TAKE ACTION to Reduce Global Warming!! TAKE ACTION on Energy & the Environment !! 12 years ago (52 replies) | Hot!